Emma Selby from Waltham Forest CAMHS talks about an app that has been developed called My Mind, designed to improve communication between children and young people and their clinicians. Through participation focus groups with service users and their families, as well as service experience questionnaires, we realised that young people found getting in touch with clinicians really frustrating – either the clinicians would be busy, or the young people would be in lessons or with their friends. If this was the case the clinicians would have to talk to their parents, and young people did not like that. Plus, we found that young people didn’t actually like talking on the phone but preferred other methods of communication such as BBM, texting and Whatsapp. There is a story my line manager told me that really illustrates this point, about a young person who was a Looked After Child and was due to come to the offices for a very important meeting. The young person was late and her foster carer was worried and ringing her constantly without an answer. My manager asked whether the young person used Blackberry Messenger (BBM), and her foster carer said she did. My manager sent the young person a message on BBM and the young person replied instantly. It turned out that she was with her friends and she didn’t want to answer the phone to services in front of them. My manager has a passion for being able to communicate effectively with young people and new technology is a brilliant method to achieve this. We also interviewed clinicians and found that, on average, clinicians were spending up to six hours a week on unsuccessful communication. For example, a missed appointment means a phone call with no response, then a letter – all of which has to be copied onto the patient’s notes. 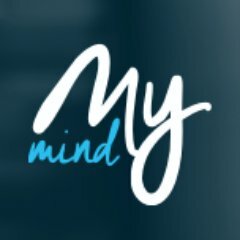 What is the My Mind app? My Mind is a communication app that comes in two parts; the first is a ‘light’ version. In the light version, anyone can download it, set up an account and access resources. The second part of the app is if a young person becomes open to a service, then a clinician can activate parts of the app depending on the young person’s needs. There is a profile page for each service user which includes a mobile number which can be updated as often as that young person likes, and it links straight to their patient record. This is especially useful as young people tend to change their mobile number a lot! Regarding confidentiality, young people’s profiles can’t be linked to each other, but all clinicians within a young person’s network can be linked to that young person. Clinicians often have a profile page with pictures too. Increasing the availability of the clinicians to the young person helps to build rapport. I’ve had feedback on how useful this is. For example, I had a young person tell me how reassuring it was to see a picture of me because she thought I’d be a forty-five-year-old woman and was worried I wouldn’t understand her! Both young people and clinicians can input data both before and after a session. Clinicians can view feedback after a session and review how a young person is feeling before a session is going to take place. After sessions, a young person can be at home and set goals on the app for the following sessions or alert their clinicians that they want to review a particular issue. Outcome measures can be viewed as maps or graphs to allow a young person to visually track their progress. There is also a ‘chat’ function that works in exactly the same way as Whatsapp – and they can create groups that include all their clinicians within their network. There is an administrator available on the accounts, so a young person can let a clinician know if they are late, and the patient’s notes are updated straight away. My Mind has also been really helpful in care planning. Any care plan, medication plans or letters that are written can be sent directly to the app. When we give paper copies of these documents to young people, they quickly lose them. With the app, they will have access to these important documents whenever they need them. There are also ‘push’ notifications to remind a young person about an appointment. Everything is encrypted to ensure confidentiality. My Mind is also available as a website so that it can be used by young people who don’t have smartphones. How does My Mind help to deliver your i-THRIVE plans? My Mind helps us to implement several principles of the THRIVE framework (Wolpert et al., 2016). Firstly, the app improves signposting and informs young people about local services. The light version of the app is downloadable by any young person; it links to a portal of various online resource tools such as the Young Minds website. Camden adult IAPT is working in conjunction with us so that downloadable self-help guides are available. For children and young people ‘Getting Help’, we were looking at the idea of meeting young people’s overall needs rather than just a fixed diagnosis, and being able to contact a service is paramount. We found that a lot of young people would be open to a service but not have much contact, in fact the modal number of contacts that a young person had with a service was found to be just one. My Mind is also one way that we’re providing clarity on endings, as discussed in the THRIVE framework. The app helps to prepare young people for ending treatment and support. For an individual to know that there is a finite end to treatment; that it isn’t going to last forever, gives a sense of ownership to that young person. Sometimes endings can feel quite sudden and that can be very hard – the app helps to enable a young person to feel in control and prepare for it. What was the approach that you took to developing this service? My service manager and I are the primary designers of the app. I went to my service manager with an idea for improving communication with young people and enabling them to map their journey, and he had very similar ideas. We began by drawing out the initial idea on some paper! We took the design to North East London Foundation Trust’s ‘Innovation Cave’ (similar to Dragons Den’). They part-funded it, and Waltham Forest CCG made up the rest of the funding. The Trust probably thought we had come up with a viable concept for £30k but not a viable app. I am a nurse, not a coder, so it has been an amazing learning experience. We worked firstly with the IT department because the app needs to be able to speak to patients’ electronic records, and needs to be helpful to both the young person and the clinician. We outsourced an app developer to collaborate with. He was part of a local start up graphic designer company called Urban Ape– we wanted to use local start-ups. He brought in big electronic design boards to show the young people as we developed our ideas. The app was initially going to be called ‘My Mind My Mood’ but this got cut to ‘My Mind’. The developer worked with local young people and taught them the principles of designing an icon, giving them all the opportunity to design their own. He showed the young people how pages might look before getting collective approval from them. The development process used a total of 24 young people at the development stage, and ten young people in the later technical workshops. These ten young people all received references and a letter of recognition of training from the designer. We are now recruiting young people to pilot the app, to test it out – they will be young people who were not involved in the design process. We’re starting the pilot stage now which runs until the end of September 2016 and in conjunction we’re also developing a research pilot and a training package for the app so we can teach people how to use it. If we can show that it improves communication, we plan to roll it out to other CAMH services. The possibilities for extending its use are endless, for example within physical health – physiotherapists could record exercises that patients could re-watch rather than giving them illustrations. We feed back to the Trust twice monthly on what stage we are at. The Trust has been very supportive, and are keen to roll it out to other services. £30K is a shoestring budget for developing an app so we are in the process of looking for other funding streams. To be honest, a lot of the work has happened on evenings and weekends! However, a huge advantage of the app is that it will save clinicians’ time in the long run. We just need to overcome the challenge that digital advancement is viewed as an extra piece of work by some clinicians. Unfortunately, at an organisational level, there was no protected time given to My Mind development at the beginning. However, I went on to a secondment in February 2016 to be the THRIVE Acceleration Interim Project Manager for Waltham Forest CAMHS, and that enabled me to focus on it more. Although it is only in the pilot phase, My Mind has already generated a very positive response from young people. We have shown a working version of the app to the young people I work with and they are always asking when they can have access to it. Parents have also asked to be involved and we are working on a login for carers. Our colleagues in the Psychology team have started looking at the potential of involving carers as part of the final app. How will My Mind change things for staff? My Mind i still in the pilot phase but clinicians have played with an early version and given positive feedback. We think the app will make staff and the service more efficient. The intention is not that staff will answer messages out of hours, but they can send a message to a young person and vice versa and it will be added to their patient notes- automatically! It eliminates a lot of the additional phone calls and paper work. Our commissioners in Waltham Forest are very forward thinking and keen to see the development of apps and digital technology to help young people and young people’s services. We are having meetings with commissioners about further funding for the app. Hopefully there will be an on-going element of commissioning to keep funding digital innovation. How does My Mind address interagency working and integration? A lot of young people are supported by psychiatrists, CAMHS, the home treatment team, inpatient wards, Youth Offending Teams or Substance Misuse services and with My Mind they can access all of them together. Down the line the app has the potential to cross the physical and mental health boundary, for example those with autism and ADHD are also supported by paediatrics, who may also have access to the app. We have a schools programme for My Mind and we presented the app at school link meetings. Twenty local schools are aware of the app and know what it is. We are encouraging schools to let young people use it in school time – for example, they can log on at lunch to communicate if they need to cancel an appointment. The schools are really excited about the potential for better communication between young people and support services. Schools in the area have requested links to the app and local Social Services are interested in a profile. What’s next for My Mind? This is phase one of what could be a never ending project – and the whole point of digital innovation is that it doesn’t have to end. In the pilot we’re involving three clinicians with five young people each. There will be a psychologist, a nurse and a psychiatrist testing the app. Currently, the app is being transferred onto an external server to accommodate all of the people who were interested in accessing it. We’re then going to finalise the fifteen participants for the pilot. At the moment the app is not designed to meet the needs of young people in crisis because we can’t guarantee that clinicians will get back to the young person immediately. In the future we are hoping to use instant messaging technology and have a clinician on call for all areas. Thank you to Emma Gilbert for helping to develop and write this case study.